People always ask me when using DRI WASH ‘n GUARD how dirty is too dirty? My response is typically if there is caked on mud, that’s too dirty. 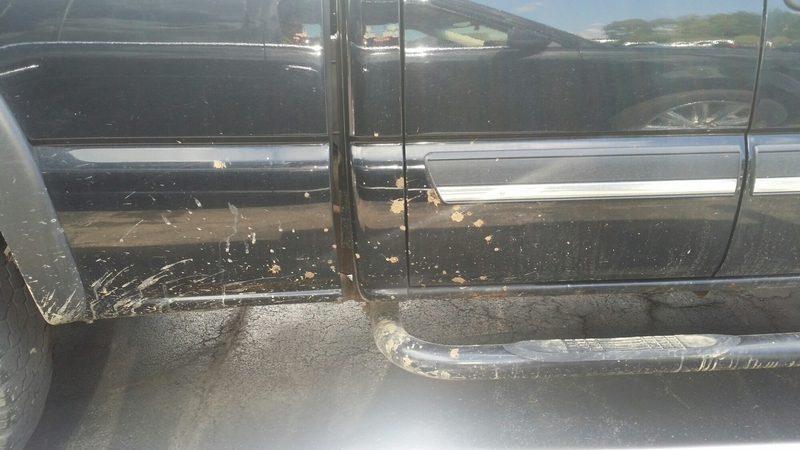 However, if the car is just dirty from the last time it rained, it’s perfectly fine to use dri wash.
Photo 1: This truck is too dirty to dri wash.